How Can I Make Sure My Drinking Water is Safe? Many people are concerned about whether the water that comes out of their faucets at home is safe to drink. 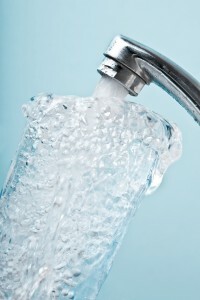 Legally, municipal water has to be safe to drink and bathe in, so drinking it will not harm you. But this does not mean that your drinking water is entirely free of contaminants or additives that can contribute to adverse tastes and odors. Many cities add chlorine to their water supplies to inhibit the spread of waterborne diseases. Once the water reaches your home, however, the chlorine, which can have a distinct odor, is no longer needed and does not need to be ingested. Plus, in some areas, minerals and other contaminants can seep into ground water, which can end up in drinking water in trace amounts. Furthermore, for those who get their drinking water from a well, it is advisable to ensure that the well water is safe to drink, as well water treatment is not legally mandated. Wells can breed bacteria, which lead to the presence of sulfur and/or iron in the water, causing unpleasant odors and tastes. Older wells may also have lead pipes or components that can cause lead to enter the drinking water. To ensure that your drinking water is safe, whether your water is sourced from the city or a well, trust a RainSoft technician to perform a water test. Our expert technicians can test your water for a host of possible issues, and tell you exactly what kind of contaminants they find and at what levels. Then, they can recommend one or more water filters that will provide you water of considerably better quality. To learn more, contact RainSoft today to schedule a complimentary in-home water test.